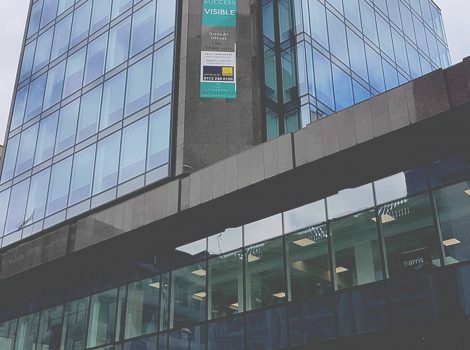 The Quest team has gained a wealth of knowledge and skills over many years by working alongside main contractors working in the very busy office space sector. 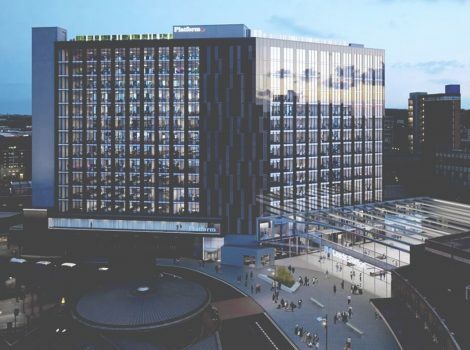 The office sector can include new build schemes or refurbishment projects, usually shoe-horned into a city centre location. This type of project demands a flexible innovative approach to finding a workable solution, something that Quest has a high level of expertise and experience in achieving. 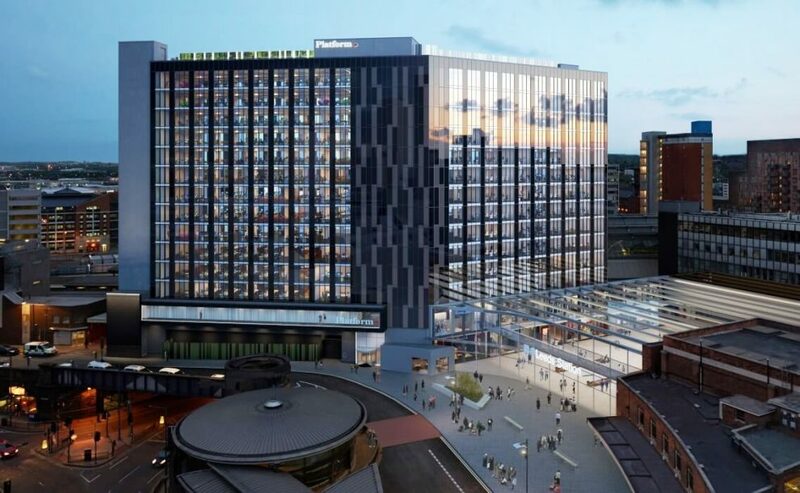 The newly named Neo building in the heart of Manchester’s city centre has undergone a successful full facade replacement, transforming the look and performance of the building by introducing a high-performing glass and aluminium specification combination with a striking feature external cap. 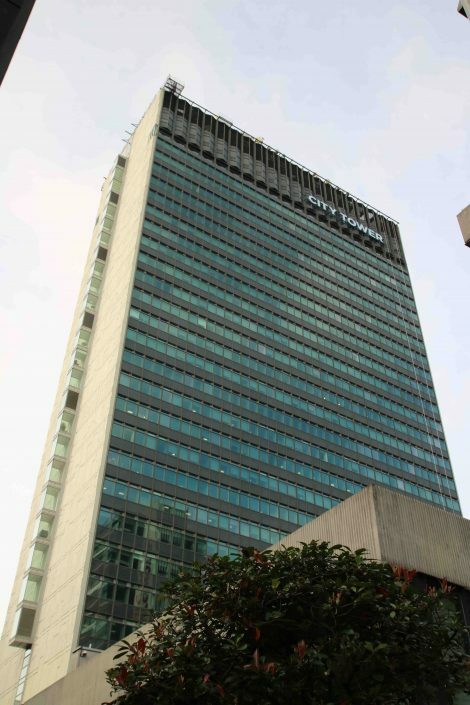 City Tower is one of the highest and most prominent buildings in city centre Manchester. 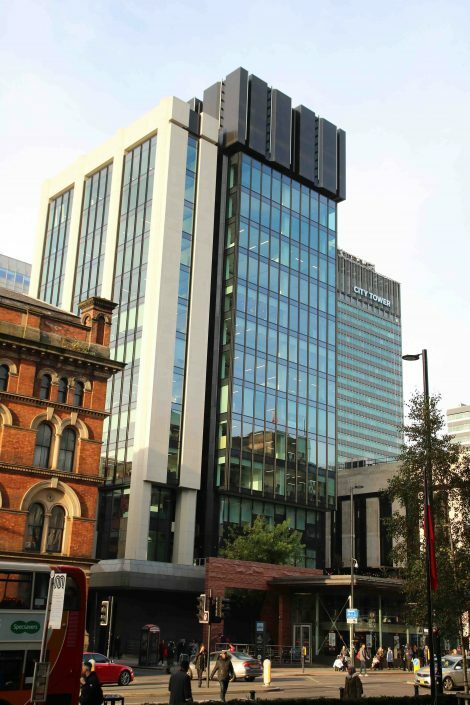 Its refurbishment consisted of designing and installing a bespoke glazing, bead and capping solution to the full facade. This along with new coloured spandrel panels transformed the appearance of the building and was novel in that the building was live throughout the works.